Had US Representative John Tierney not been weakened by a controversy that grew out of his brother-in-law’s illegal offshore gambling operation, voters in the Sixth District might well have returned him to Congress term after term without feeling much dissatisfaction. While he hasn’t proved to be a towering figure in his 16 years in Congress, he has genuine accomplishments and a reputation as a hard worker. And that, in a state where Republicans are outmatched and ambitious Democrats wait their turn instead of challenging their elders, is usually enough to guarantee an incumbent’s reelection. This year is different. Tierney’s family scandal — and his evasive handling of it — gives voters a reason to look elsewhere. Meanwhile, he has an appealing Republican challenger, a moderate who served with distinction as minority leader in the state Senate. 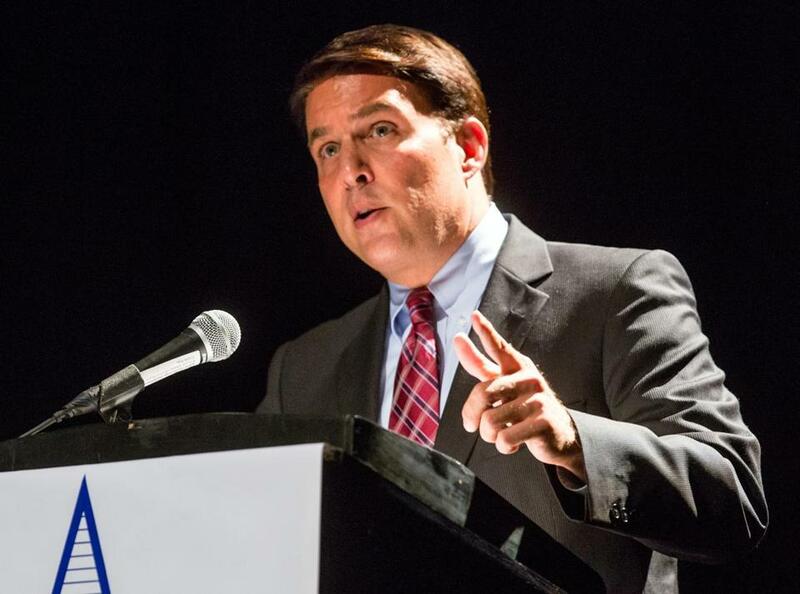 This year, Sixth District voters should elect that challenger, Richard Tisei. Tisei’s mix of libertarianism and fiscal conservatism makes an excellent blueprint for New England Republicans. Even as the national Republican Party veered to the right during Tisei’s years on Beacon Hill, he avoided hot-button social issues and instead staked out a common-sense, reform-oriented direction for the Senate GOP caucus. That approach eventually yielded results; Tisei and other legislative Republicans were pushing nuts-and-bolts pension reforms, for instance, well before the Legislature as a whole was willing to implement similar ideas. The kind of bipartisanship that Tisei practiced on Beacon Hill is increasingly difficult in Washington. And to be sure, Tisei’s stances on some issues may be too conservative for some voters. He promises, for example, to work for the repeal of Obamacare. (Never mind that he voted for the Romneycare that inspired it.) But Tisei, unlike others in his party, isn’t in denial about problems with the current health care system, and he’s amenable to compromise. He refused to sign Grover Norquist’s no-new-taxes pledge. The pro-Tierney ads and mailers that tie Tisei to GOP vice presidential nominee Paul Ryan’s harsh, unworkable budget plan are based on comments taken mostly out of context. There’s longstanding evidence of Tisei’s willingness to defy his party and even public sentiment at key points; he voted against rolling back the state income tax from 5.3 percent to 5 percent because he didn’t think the state could afford to do so. He argues that, because he would be the only openly gay Republican to be elected to Congress, he would have a national profile of sorts. He would, and he should use it to press for tolerance and moderation among his fellow Republicans. The other reason to support Tisei is to underscore the principle of accountability — to make clear that service in elected office is conditioned on leveling with the electorate, and in responding to legitimate inquiries, in a way that John Tierney has not done. Neither his brother-in-law’s involvement in an offshore gambling operation nor the fact that his wife received significant payments for handling his brother-in-law’s money should, by itself, disqualify Tierney from further service. Yet his insistence that he knew nothing about the matter strains credulity. And his efforts to fend off inquiries into the subject — for instance, by trying to stage-manage how the issue might be discussed in debates — seem high-handed and disrespectful of voters’ legitimate concern. Over the years, the voters of Massachusetts have generally been reluctant to turn out incumbent members of Congress; the implicit bargain has been that, in exchange for being granted long tenure, they are expected to exert outsize influence on public policy. This approach produced such legislative giants as Tip O’Neill and Ted Kennedy. But while Tierney can be proud of his role in expanding access to college loans and heightening scrutiny of contracts in Afghanistan, his accomplishments aren’t so impressive as to negate his liabilities. All of this raises a question for Massachusetts voters: Are there any conditions, short of accusations of criminal wrongdoing, under which an incumbent should be unseated by a promising challenger? There should be. If Tisei replaces Tierney, the GOP challenger will have much to prove — that he can be effective in protecting vital federal research dollars from cuts, that he can be a force for education reform, and above all that he can function effectively in a Republican House caucus that’s pushing ever more to the right. But voters should give him the chance.